The 2019 Super Bowl is just under a month away, which -- if you’re the kind of person who goes all out with game day food -- means it’s time to start thinking about your spread of snacks. 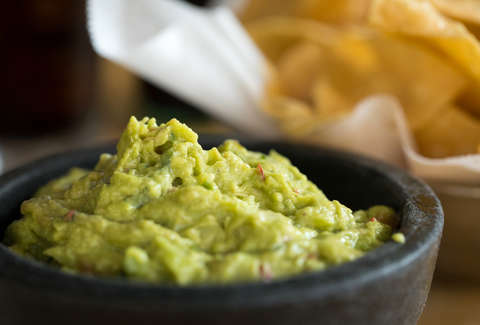 Sadly, your famous guacamole may not be an option thanks to a major fuel shortage in Mexico. Due to the shortage, farmers in Mexico may not be able to get a shipment of precious avocados to the United states, Reuters reported. Pemex, a Mexican government-run oil company, switched up its distribution plan last month in an effort to curb fuel theft by criminal organizations, it said in a press release. Unfortunately, the change in the way the company operates has led to a serious gasoline shortage across six Mexican states including Michoacan, the country’s main avocado producer. Local farmers initially expected to ship 120,000 tons of the mushy green fruits (yes, they’re technically fruits) to the US, but only 27,000 have made it so far. While that’s perhaps good news for millennials looking to lay off the stuff in favor of buying homes or whatever, there’s a slight risk it’ll end up putting a damper on your Super Bowl party plans. It’s not the first time we’ve experienced an avocado shortage, and we’ll get through it together -- just as we have in the past. The bad news, though, is that one day we may be facing a shortage that can’t be fixed by an oil company. As climate change gets more serious, avocado farmers are facing more and more issues growing the crop in drought-heavy areas. What we’re saying is, if you can get your hands on good avocados… enjoy them while they last. If you can’t, maybe try another Super Bowl snack.